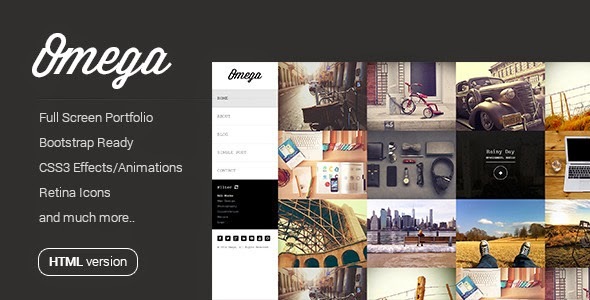 Omega is a minimal yet creative Full Screen Template with full responsive layout and Retina Ready. Omega is a perfect choice for wide range of websites such as personal blog, photography, personal portfolio etc. Omega is built on bootstrap framework, the most famous css framework. Item Reviewed: Omega - Full Width HTML Portfolio Template (Bootstrap) 9 out of 10 based on 10 ratings. 9 user reviews.